What’s up Doc? Okay, that was too easy. But really, it’s hard to beat a sweet treat that’s also packed with b-vitamins. 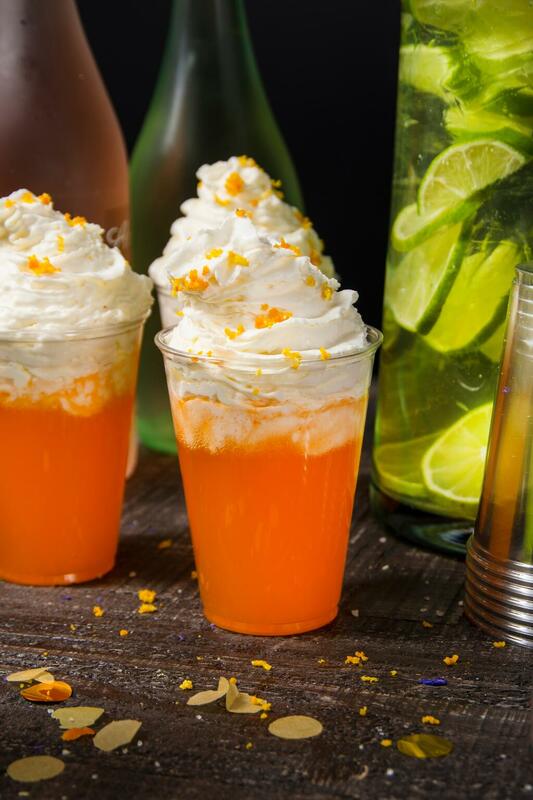 Looking for a refreshing alternative to the traditional root beer float at your next gathering? Give this clever concoction a try. You’ll surely win points from your health conscious crew when you roll out a tray of these post meal. Combine in a Solo Clear Plastic Cup. Add a scoop of vanilla ice cream. Top with whipped cream. Then garnish with grated orange peel and serve.